I often think about the first time I realized how important relationships are to delivering whole-person wellness. A relationship-based approach can transform healthcare. I have worked in healthcare since the early 70s, beginning as a community health representative for my local tribe of Seldovia, Alaska. I held various jobs until I came to work for Southcentral Foundation as a receptionist, quickly grew with the company, and became the executive director four years later. Knowing that our region was interested in operating and managing our own healthcare, I have chosen to stay and work here for 30 years. At Southcentral Foundation (SCF), we have transformed from a slow medical bureaucracy into an agile, customer-driven system of care. Our 65,000 customer-owners (what we call our patients or consumers) live in an approximately 110,000-square-mile service area, covering Anchorage and southern Alaska, extending from the Canadian border on the east to the Aleutian Chain and Pribilof Islands on the west. Services are provided in 30 locations, including primary care centers, residential treatment centers, community health centers, and gathering places for training, healing, recovery, and support. All of our SCF services operate from the strengths of the Alaska Native culture, and our population has become both the customers and owners of their healthcare. We strive to address the specific needs of the Alaska Native Community by providing care that is culturally respectful and aimed at whole-person wellness. While I would encourage organizations not to look at healthcare as a business, our experience suggests that a business case can be made for adopting the practice of complex care. In addition to improving health outcomes for the people we serve, the reforms we have made at SCF have also resulted in reduced costs. Working with the community here, we have managed to reduce ER visits and hospitalizations for customer-owners by 36 percent. By listening to each individual’s story and following them along their healthcare journey, their health problems can be better understood and dealt with before they progress to the point where they require the most expensive care. There are so many keys to success. Ownership, giving voice to the customer-owner, going so far as to make them owners and customers with the system, as well as building strong relationships between provider and customer, between all employees including leadership, and all the way up through governance. Really listening, acting, and then giving feedback to those serving and those being served. Truly living out the values of the mission and vision of the organization where one works. But relationships are truly the core of our entire system of care. 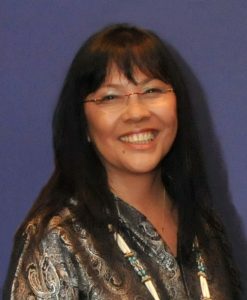 Katherine Gottlieb is President & CEO of Southcentral Foundation, an Alaska Native-owned, nonprofit healthcare organization serving nearly 65,000 Alaska Native and American Indian people living in southern Alaska.